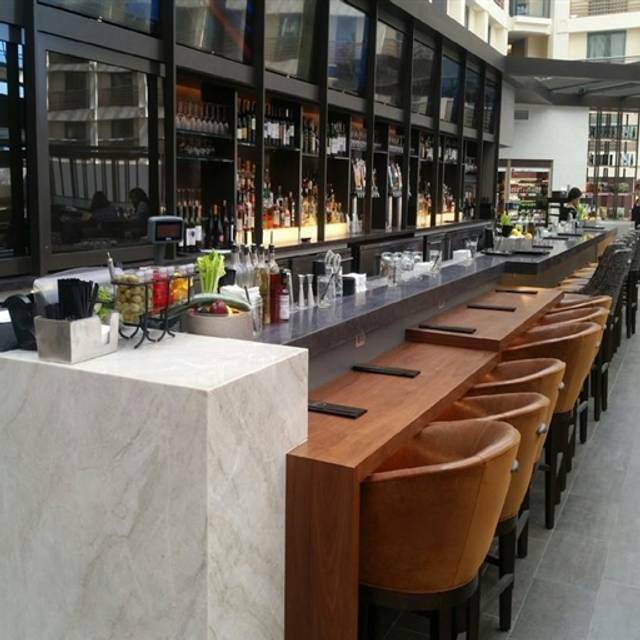 You must make reservations at least 5 minutes in advance of the time at 3SIXTY Bar / Bistro / Market. We offer complimentary self-parking validation for up to 3 hours. 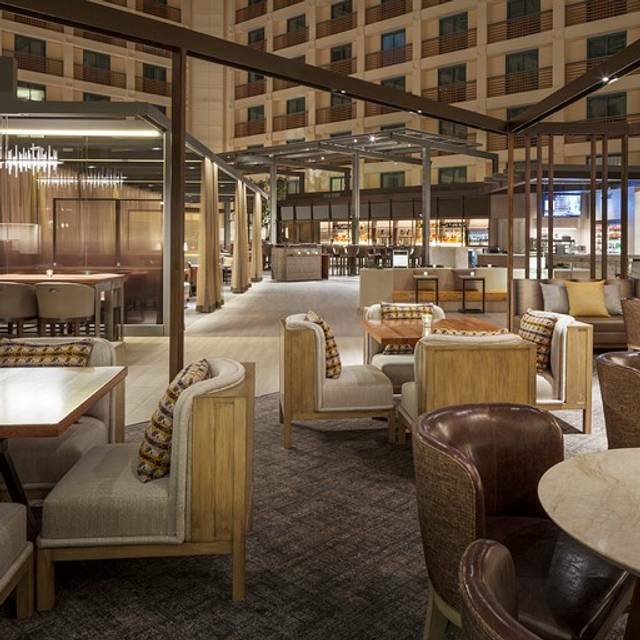 Complimentary Shuttle service from San Francisco Airport to Hyatt Regency San Francisco Airport. Burlingame Trolley from downtown Burlingame. Sam Trans line 292-197 - Hillsdale Mall. Join us for our annual Easter Champagne Brunch on April 21 between 10a - 3p featuring prime rib, seafood station, crepe/waffle/omelet station, dim sum, dessert bar and more! For reservations, call 650-347-1234 ext. 2296. Our private dining room provides a beautiful wooden communal table and stunning chandelier. The room has sliding doors which provides privacy for a comfortable dining experience. Reservations required. Please contact us directly at 650.696.2690. Join us at 3SIXTY for an all-in-one dining experience! Food Thoughtfully Sourced, Carefully Served is the philosophy behind our seasonal menu which supports our local purveyors here in Northern California. We are inspired by the culture and diversity the Bay area represents, as well as you, our well-traveled guests. What may be comfort food for some will be new and enticing for others. Sharing this experience with guests from all over the world is our story. Join us for a delightful Easter Champagne Brunch on April 21, 2019 between 10am - 3pm featuring classic breakfast items, waffle station, prime rib, oyster, seafood display and dessert station! $90/person, $75 for senior, $45 per children 5 - 12. Kids up to 4 is free. Food wise- mediocre. Service-doing it with a forced smile. Ate here because am staying in the hotel and it was raining. 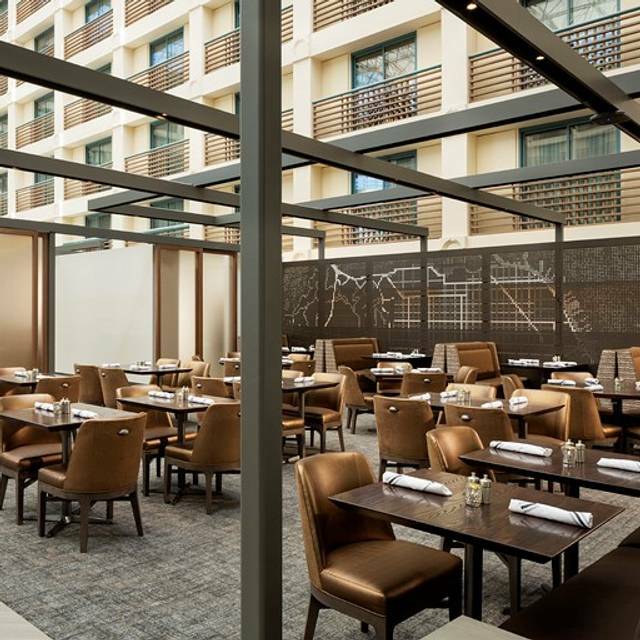 With the same amount of money, DoubleTree Hilton Burlingame is a better choice for the ambience, service and comfort food. Food was good. But our service was ok. The waiter added up our check incorrectly and charged us for an extra appetizer. Somehow, one of our orders was forgotten and we had to ask for it. We didn’t get it til almost end of the others finishing their meals so we didn’t start or end meals together. Server was friendly but didn’t check on us and tooj a long time to even get a drink order and forever to get our drinks (2 waters and a beer) and it was 3:00 and not many people in there. Nice quiet place for lunch! Great service! My son likes the place vs. the old one where he had his communion party reception. The buss person really works hard. He was the first one who saw us when we arrived at the reception area and pointed us to the hostess, she was busy too. The buss person was very attentive. Drew, the server, consistently comes to check us out but I felt that there was something missing throughout our breakfast. We dined in a lot of places and we always come back for the service and not the food. In addition, when they sang the birthday song, we don't feel the excitement and care. We felt no emotion in the presentation and felt that they were in a hurry. They were probably busy and we understand that not all the visits would turn out great per our expectations. The good thing is, we had been to your place many times, for many years. It is just our high expectations that were probably missed. This wasn't really a restaurant, but more like table service near the bar. The menu was pretty limited. Food was fairly bland and disappointing. We were part of a large convention at the hotel. All the food for the hotel seemed to come from this place including what you can have delivered to your room. If you want a nice high caliber restaurant to buy your team or customer a dinner - like a steak, or even a chicken dish this is not it. Overall the food available in the prepackaged side also seemed to be well past the shelf life. Desserts were bland and seemed to have been pre-made days before and sitting in a refrigerator somewhere. Table service in general was spotty and we waited a while on each thing we asked for including the check. Hyatt used to do better and I wish they would return to their past reputation for luxury and quality. Wonderful greeting you will receive upon entering restaurant from the warm, caring hostess. Service and food are both superb and a nice, eclectic and wonderful menu greets you. Definitely a winner. Food and service were good. I had the breakfast buffet. Good variety and quality! waited at the host station for 10 minutes and not a single employee in sight. Ended up going elsewhere. We enjoyed our time there. Food was good and dessert was amazing. 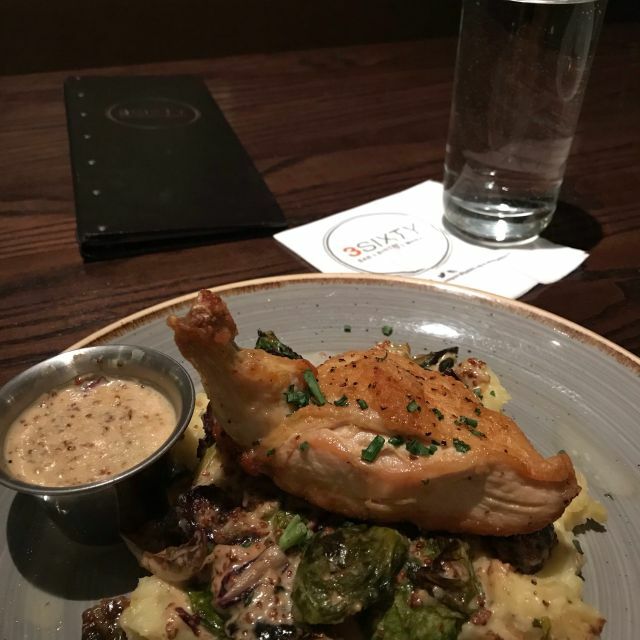 We thoroughly enjoyed our experience at this Hyatt Regency restaurant. The menu is concise with many creative dishes. Try the numerous burgers, which are sensational (my favorite is the bar-be-que). The salads are mouthwatering, especially the Caesar with a yummy dressing. Pair It up with salmon, which is seasoned and cooked to perfection. 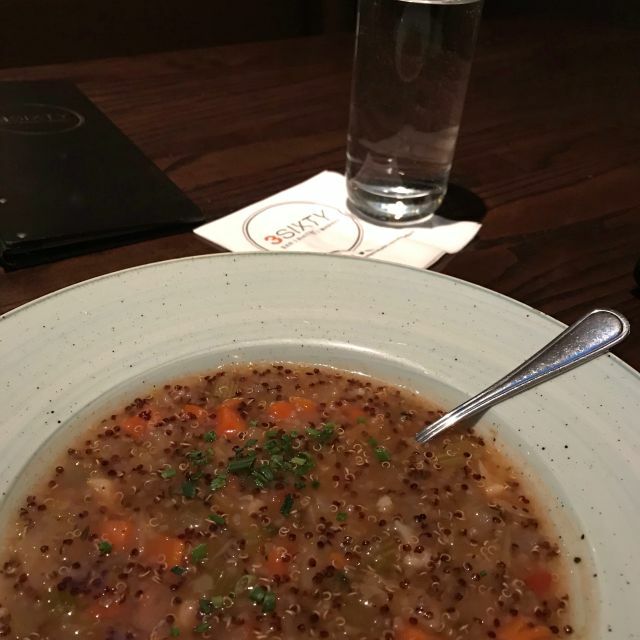 The special soup of the day was minestrone, which was very tasty. Top that off with a warm greeting by their hostess and fine service by staff members, especially Angel and you have a memorable dining experience. Job well done. We went here for Mother’s Day brunch. Everything was terrific. Our server kept our glasses full of champagne and was very personable. Value was good and we left very satisfied. We’ll go back for Thanksgiving. Parking was free with validation. Mother's Day brunch is back! The atrium has been remodeled and with that, so has the brunch. Each station was well placed, stocked with so much yummy goodness and lots of variety. Our server was very attentive in refilling drinks and scooping up dishes as we went back for more. Well done! Although the meal was not bad, it was not as advertised nor would we go back. On our way to the SFO airport we relied on Open Table to find a fun upscale bar where we could relax and share a few appetizers before our red eye flight home. According to the description it seemed like jus the place. No mention that it was in a hotel but once there we decided to give it a try. First :( was it was empty and they tried to sit us a t two top you would have coffee at in the morning. I asked for a booth. Charred Brussel sprouts every place we have had them are flame broiled or done in a wood oven. These were fried and greasy ~ not what you want before a flight. Crab melt was tasty but uneventful from the description. Overall shame on Open Table for not vetting this better. If you are staying in the hotel and want coffee in the morning or a cocktail before heading out to dinner then it's fine ~ but it in no way was as it was described. Ambiance was great; just as we remembered it to be. However, service and delivery of food is a complete 180 difference from the amazing customer service experienced with Swiftwater. We waited over an hour for our food to be delivered; only to watch those seated after us receiving their food first. When asked what happened - it was heartbreaking to (1) not receive an apology and (2) to be told that the kitchen was backed up ... yet, all around us, people were getting food. After seeing the 3rd table seated after us receive their food - we decided to cancel our order and leave. The manager was kind and comped us our appetizer and our sodas; but, we will not be returning. So sad. We loved the cafe/restaurant at the Marriott - when it was Swiftwater. We did the easter brunch and found that we had excellent service. We were not rushed and we were able to relax and enjoy the afternoon. I found the food choice to be abundant and the quality to be very good. We very much enjoyed the brunch. Only a couple of hickups. We asked for our check and it took a long time before they brought it to us. Then there was so much confusion and we got a call from the restaurant saying that it appeared we left without paying our bill. We will probably go back but that was a hard call to receive especially since its our favorite brunch and we have gone there a lot. We usually come here for Easter Brunch, now. Before the brunches were on Sunday's, but now it's for special occasion. Service is good only if you seat in the right selection. Display and decor are amazing. Good variety of seafood such as shrimp, mussels and oysters. Craving station as good, but the prime rib as a bit fatty. Bottomless Champagne and Bloody Mary's. Comes with free parking with validation. Located in the heart of the hotel with skylights for nature lighting. You are greeted warmly by the hostess. She definitely set a wonderful tone. Angel was our waitperson and her suggestions were spot on. The highlight was the salmon, which was prepared to perfection. Wonderful, eclectic, creative cuisine. Such kind, warm and caring employees. Job well done. It was fine nothing special. Did not expect the restaurant to be in a hotel atrium. Wine list was overly expensive, and the food was ok.
Great experience. Thanks to the hostess in front for such a wonderful service. Food was average for what you would expect in a airport hotel restaurant. Everything was just O.K. Also, parking was not validated even though the waitress took the ticket. It was only $15, but at that point in the evening it was just one more disappointment. A most wonderful and enjoyable experience. Our food was excellent and there is a nice variety of different cuisine to choose from - everything from steak to fish to bar food. Drinks are well made and the service is smooth and well done. A most enjoyable experience, where you are greeted warmly by a wonderful hostess. Job well done. 3Sixty Bar give a nice relaxed atmosphere where you can enjoy your meal and your guests' company. The wait staff are very attentive and knowledgeable on their menu offerings. I enjoyed the BBQ Burger which included a sizable side salad. It is a very mediocre experience. We enjoyed our dinner experience here with multiple options for cuisine. From pizza to salads to burgers to steaks, it was all impressive and nicely prepared. The food was good, but the service and cleanliness of the restaurant were lacking. There was food under the table when we were seated, obvious marks on silverware and glasses, and the service was slow. Very tasty Pizza and Caesar salad was delicious. Service was good. Dining in a newly renovated restaurant was delightful. Food was not hot at all. Barely warm. Fries were over cooked in old grease. Dishes were not seasoned as well as they should have been. Lacked flavor. Our lunch was delicious and the menu offered many options. The ambiance is beautiful. The service we received was above and beyond. I highly recommend. Very good hotel restaurant. Excellent menu with untrained and sloppy wait staff. Best food I have ever had at Hyatt SF Airport!! I'm the operation will improve and provide excellent food and service. I really love this restaurant. Warm greeting by Laura and the food is excellent. My wife had a burger, I had the rib special, with both cooked to perfection. 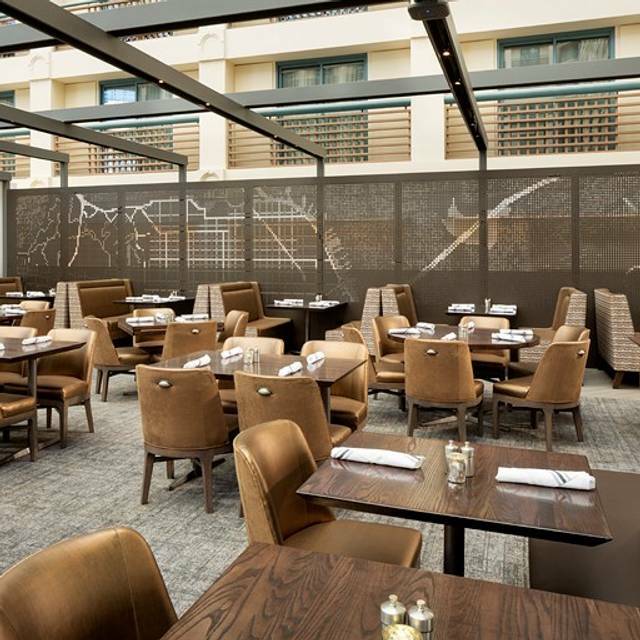 A real treat to dine in this relatively new restaurant at the Hyatt Regency - SFO. Well worth the time to encounter a great menu with multiple selections aligned with a very pleasant atmosphere. In Hyatt Regency Hotel SFO, did not expect to find a low key, quiet restaurant. We loved the booths, the sophisticated feel to the area. The food was average, but we enjoyed the experience. For an airport hotel, it is very good. I was meeting a client for business lunch- my client checked in before me, and was asked to wait elsewhere; there were less than 10 people dining in the area, and the two host staff failed to inquire or connect the two single diners waiting for a companion, causing us to waste almost 20 minutes of our lunch hour. In addition, I was led to a table that hadn't been cleaned of the trash and crumbs underneath it before seating. Our server was excellent and very attentive, and the food was well priced; location was convenient. It was really good. There was a huge table of people in front of us so it took a very long time for our food to come our. However, they comped our drinks. Our waitress was very nice and did her best under the circumstances.